The XRM Vision offices are located in the heart of the Mile-End district. Famous for its musical independence as well as its cafés and the best bagel shops in town! This area is one of the most vibrant neighbourhoods in Montreal. The Mile-End district seems to be the perfect match for our ongoing commitment for innovation and keeping our openness to the world. 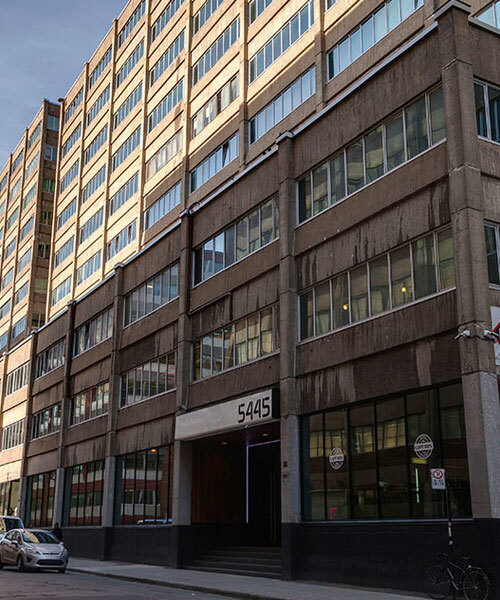 Our offices are located in the large building located on 5445 de Gaspé street. This building hosts a wide variety of services. You will find cafés, trendy boutiques, art galleries, health care, the famous video game development firm Ubisoft … and of course, you will find us! You will find the door to XRM Vision on the ground floor behind the elevators; 110 is our suite number. You can forget about the parking lot located in the basement of the building. Since only members are allowed to park their cars there. You can, however, find a spot on one of the nearby streets. 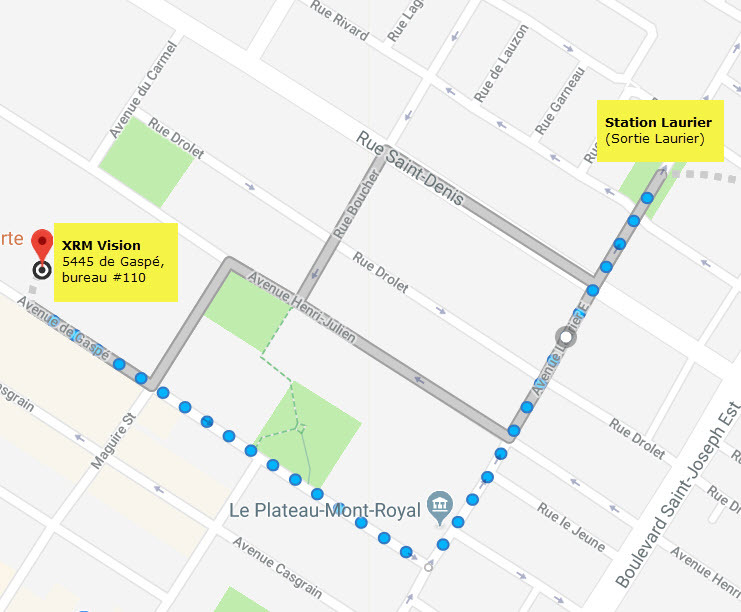 If you do not find space on Casgrain and Saint-Dominique, we suggest Saint-Laurent Boulevard. Although it is a bit further from our offices, you will find several empty spaces with parking meters. Since parking on Gaspé Street is prohibited, coming directly in front of the building with the hopes of parking your car is useless. The Mile-End is very popular amongst cyclists, this is why you will find a big bicycle parking in front of the building. A fan of BIXI bicycle? 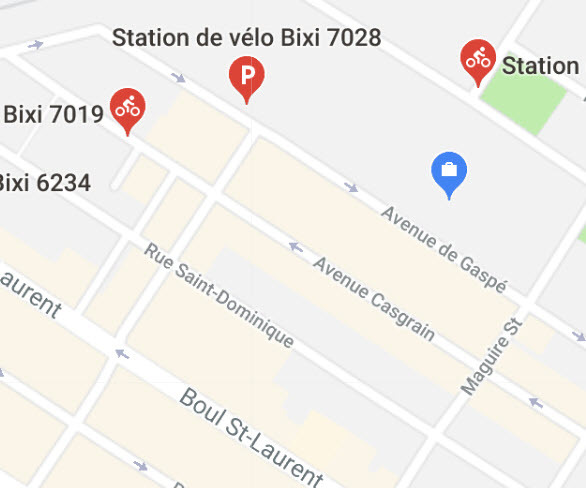 You will have a choice of three nearby BIXI stations to choose from when storing your borrowed bike. We are a 10-minute walk from Laurier metro station. When exiting the metro, exit via Laurier and not Saint-Joseph, this will bring you closer to your destination.